Have you ever shared your food with your dog or cat? It’s something that many of us do even though we probably shouldn’t. But, if we had no dog food or cat food, we’d probably give ourpet some of our meal. That’s what many senior citizens were doing and this prevented them from getting the nourishment they so badly needed. And, their pets were still hungry. 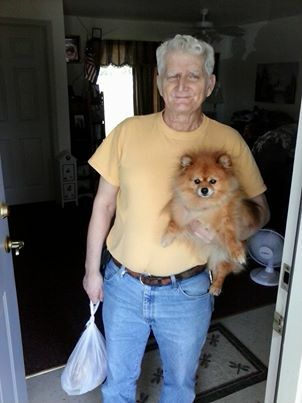 1) Drop bags of dry dog and cat food off at the Senior Center, 33 Michael Drive in Crawfordville or VCA Wakulla Animal Hospital, 2571 Crawfordville Hwy. 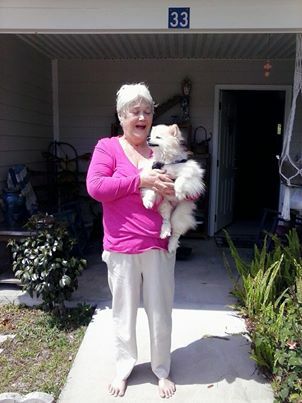 3) via PayPal on Paws website: pawsofwakulla.org, or the donation link on our Facebook page "Paws of Wakulla"
Meet two senior citizens and their pets that benefit from this program. Aren't they happy!